It’s been far to long since I’ve contributed to the WordPress Weekly Photo Challenge, which is wrong in and of itself. So with this week’s photo challenge theme, I tried to find something that was wrong. Instead, I found an event that, if something went wrong, you were out for the count. 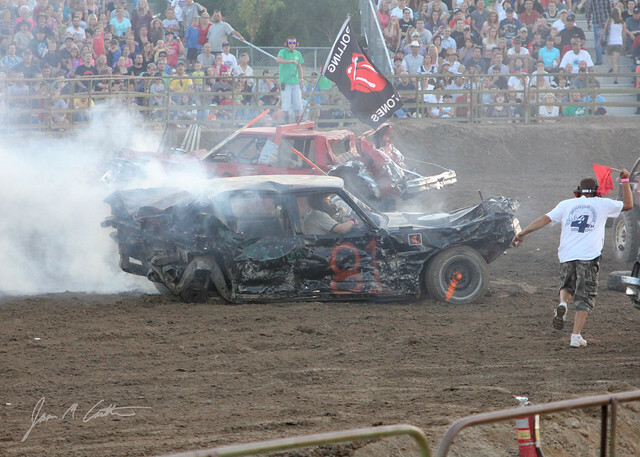 As you can tell from the photos I shared, it was a demolition derby with the Salt Lake County Fair. Here are four photos from the event, and each one has something wrong with the car. Can you tell what it is without looking at the answers at the end of this post? ANSWERS: 1) Stuck in the mid; 2) Lost the transmission; 3) No rear tire (among other things); and 4) A really messed up front tire. 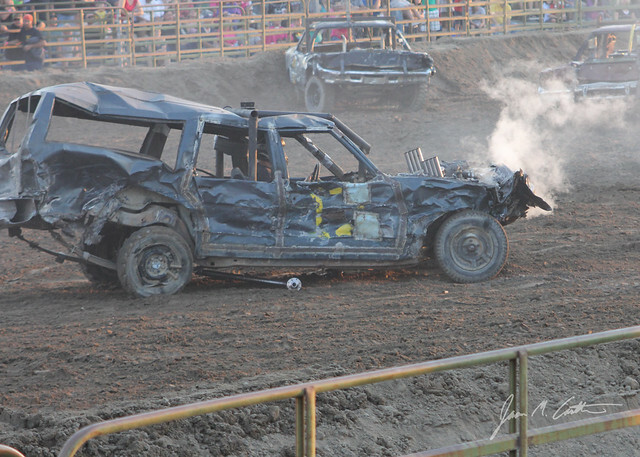 It was fun shooting the demolition derby, but it would have been really cool to have been the one flying a GoPro attached to a remote control helicopter right over the arena. 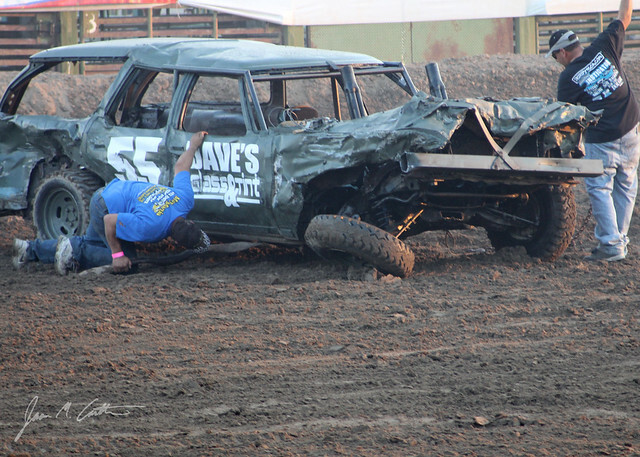 However, I would have been worried about getting too low, falling into the arena and getting it demolished. 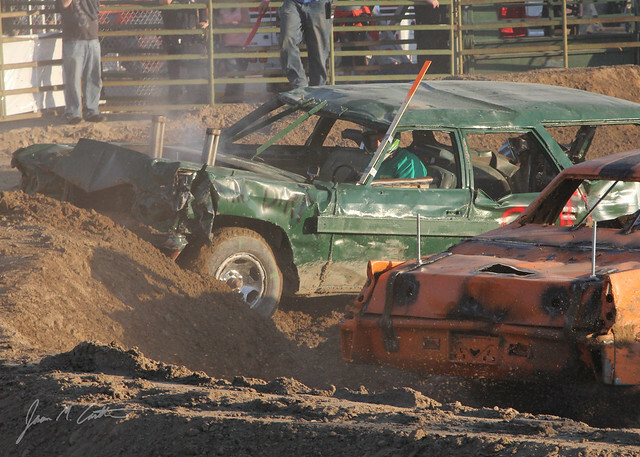 What have you photographed from your county or state fair? I remember watching those as a little kid. SO FUN. I wouldn’t want to be too close to the arena either. Zoom lens thankyouverymuch. 😀 Really great shots. Thanks. I was pretty far back, so I’m glad I had my zoom lens with me.